I’ve been working with ionic for a while now, and I decided to make a compilation of useful ionic hacks, tips, tricks or simply useful information from my journey, so I can have a centralized place where I can find easy and fast this useful compilation, and also share it with all the ionic developers, I hope this might be of some help for others. I divided it into 3 categories (for now), I think this is going to be an on-going process of keeping adding ionic hacks, Every time I find something interesting I’ll update this post. We can modify the general behavior of components through the root configuration of our app. The Config lets you configure your entire app or specific platforms. You can set the tab placement, icon mode, animations, define back button icon, and more. This is one of the most interesting ionic hacks. Any value can be added to config, and looked up at a later in any component. You might have noticed that you can’t select the text inside your ionic app, which is especially challenging if you want to enable the user to be able to select text (to be able to copy/paste for example) inside of your application. Connect your device to the computer and make sure it is correctly detected, by running adb devices (Android SDK is required). 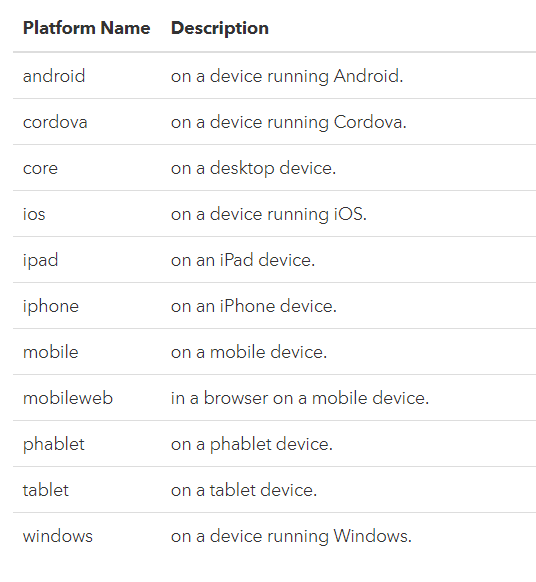 Build your app and install it on your device by running ionic cordova run android –device command. 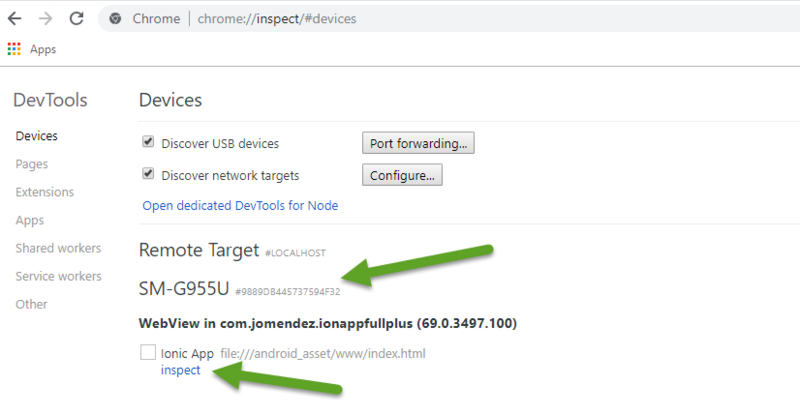 Once your app is launched on the device, open the Chrome browser on your computer, in a new tab’s url bar type: chrome://inspect/#devices, and inspect your device. Plug in your device and make sure it is correctly detected by your computer. Build your app and install it on your device by running ionic run ios –device. 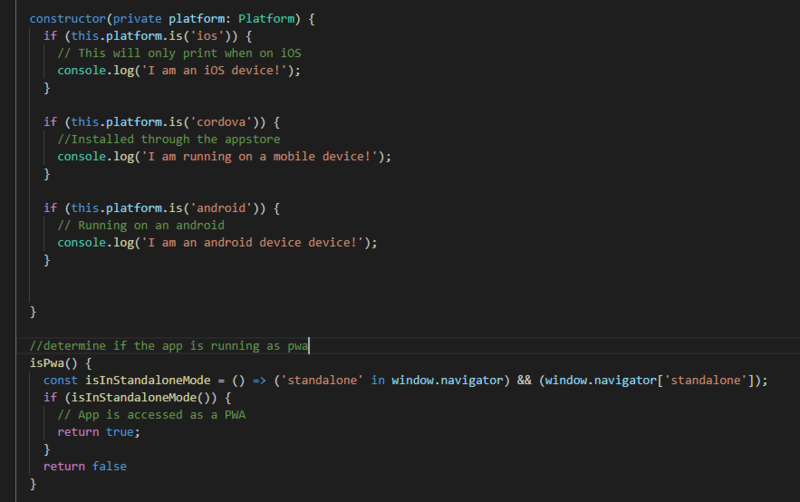 Some times we need to detect in which platform the code is running, some scenarios are when you are using cordova plugins that are only supported by for example Android and iOS, and you are planning to deploy your app also to Windows app store, and as a PWA. 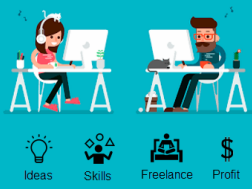 A specific plugin with this characteristics is the admob free plugin. This is a useful functionality, when you run your application in the browser ionic serve you can use the –lab parameter to open your app into an iframe wrapper that call for specific platform, in that way is easy for you to visually select what platform target you want the ionic application to run. The most common use of this service is to optimize performance when starting a work consisting of one or more asynchronous tasks that don’t require UI updates or error handling to be handled by Angular. Such tasks can be kicked off via runOutsideAngular and if needed, these tasks can reenter the Angular zone via run. In other words, it allows you to either execute code outside angular cycle digest (to improve performance) or, to include code executed asynchronous (outside angular) inside the angular cycle digest. I remember faced this issue before, but the last time I did was crating the signature-pad showcase where I needed to reference a canvas within the HTML, and call the method clear() as soon as the page is loaded. Every Android version runs a different WebView (a browser that runs your ionic application). The performance is different across devices, and it can be really bad on the old Android devices. To get a consistent performance and experience with fluidity and responsiveness on every Android device, you can install Crosswalk. It basically embeds the latest Chromium browser into your application, it will add around 20Mb per APK, both ARM and X86. Knowing this was very useful, when created our multi-platform Gamefy (which is a bundle of 5 games in 1), because the performance of the games was poor on android low-end devices, and crosswalk fixed the issue. As every developer should know you are first of all responsible for writing good code that performs. It’s not the fault of Ionic (most of the time) if the app loads slowly, but there are few thinks you can do to improve your performance. Make sure to use lazy load for your page, although when you generate a page from the ionic CLI it generate the page ready for lazy loading, the starters templates doesn’t use lazy load. By doing this, your app won’t load all the pages on startup immediately but rather prolong the loading a bit so the first page will appear a lot faster. This is very important if you are creating PWA, this is one of the key points for PWA. As mentioned before, another improve is to use ngZone to execute tasks that don’t require UI updates or error handling to be handled by Angular to improve performance. As mentioned in the previous point, install crosswall can be a boost in your performance specially for low-end android devices. That command will activate Angular’s production mode, and run a full production build so you can get the smallest bundle possible. It will take a while, especially the first time you run it, but it is worth it. In my experience sometimes cordova plugins throw errors regarding packages versions vs environment versions, or the most common for me has been conflict between two or more cordova plugin, the most recent was when I was trying to integrate the barcodescanner plugin on ionAppFullPlus together with the facebook plugin. After few hours trying everything I found this plugin for Android (cordova-android-support-gradle-release) that aligns various versions of the Android Support libraries specified by other plugins to a specific version, which fixed the issue. 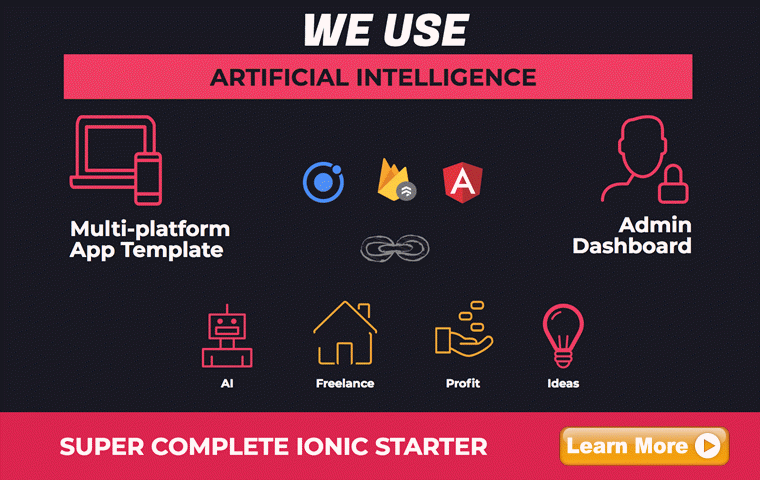 I will try to update this post often with new ionic hacks, I think there is a lot of things that can be done to to improve the performance of ionic applications, or the developer’s productivity, etc.